Fish Flex Cephalexin Antibiotics 250 mg - 30-Count | BUDK.com - Knives & Swords At The Lowest Prices! Without a well-stocked cache of broad-spectrum antibiotics like Fish Flex Cephalexin, it’s just a matter of time before your beloved pet fish falls victim to bacterial disease, spread readily and rapidly especially in calamitous times when water treatment systems are offline and hygiene takes a backseat to survival. Thankfully, you can easily cure most common bacterial ailments with cephalexin, and none is more affordable and reliable than Fish Flex. It’s manufactured using the same quality standards for safety and potency as any antibiotic labeled for human use, as verified by its USP grade seal. You can, thus, count on Fish Flex to provide your dearest pets with the same caliber-of-care you’d get from your own trusted physician or pharmacist. 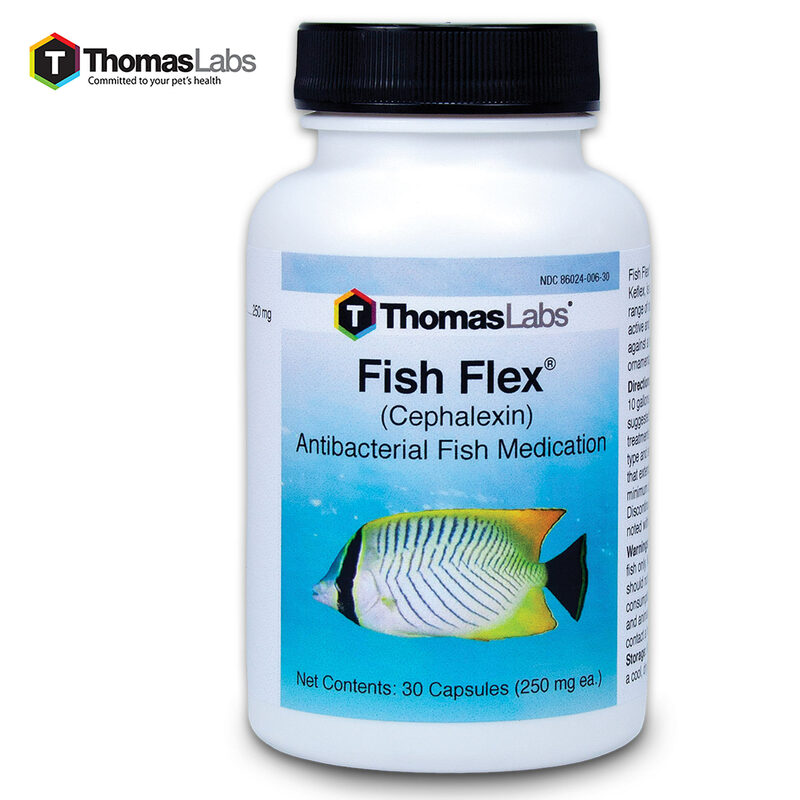 A must-have for every aquarium, home, RV, emergency shelter, supply cache, or “go-bag,” Fish Flex Cephalexin is supplied in bottles of 30 convenient, space-saving tablets. At 250 mg, each tablet contains a perfect dose of cephalexin for a typical antibiotic treatment course. Best of all, Fish Flex Cephalexin is versatile; the tried-and-true first-generation antibiotic treats a broad assortment of common bacterial maladies, including staph and various infections of the urinary tract, gills/respiratory tract, bones, joints, soft tissue and scales/skin. You never know where you’ll be when disaster strikes, and at this affordable price - the lowest you’ll find anywhere - it’s painless to stock multiple locations for maximum preparedness. Your pet fish will thank you! Don’t forget friends and family who own pets! 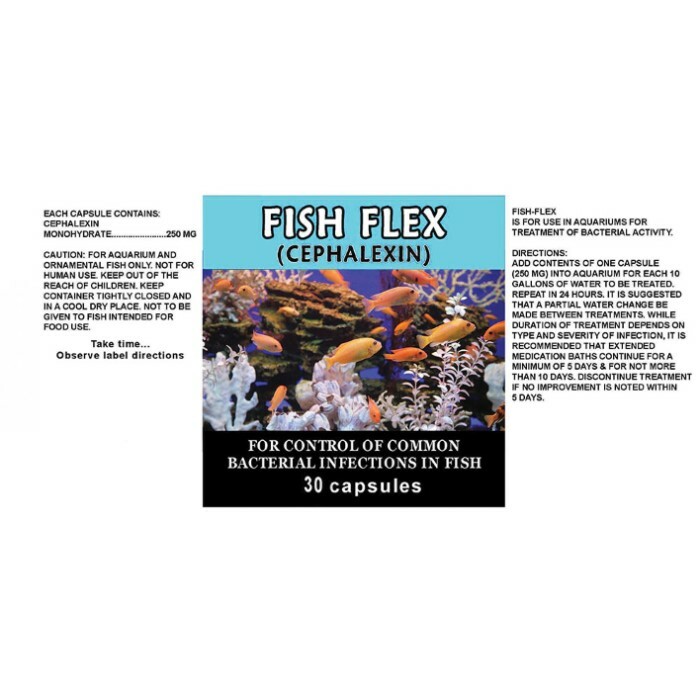 Gifting Fish Flex Cepalexin is a terrific way to show your love and concern, while safeguarding the health of loved ones’ scaly, gilled companions. 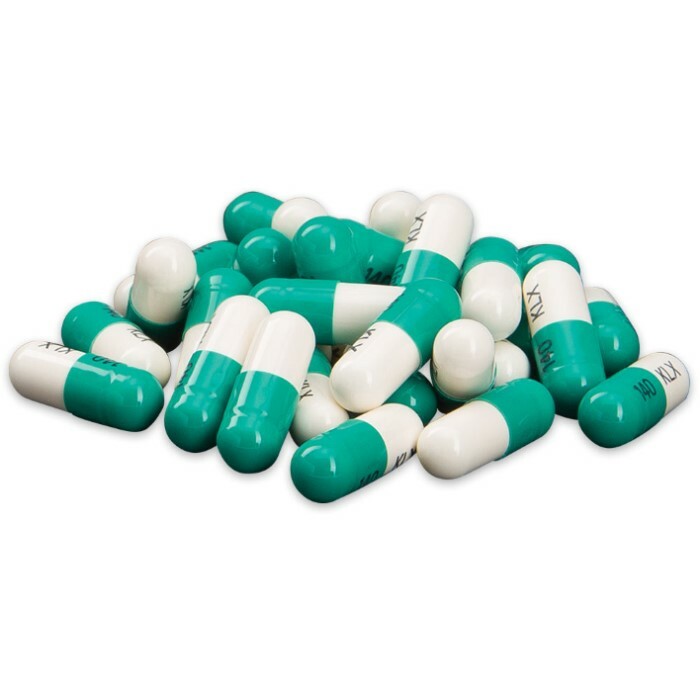 Like all antibiotics, cephalexin will not treat viral or fungal disease. For pet/ornamental fish use only. Not for use in fish raised as a human food source. Not for human consumption. I fully believe that without this medication my Mom's datchsund would have died last night before we could her to the Vet. I gave her the pills yesterday for the dog and we called the Vet to see how much to give. Her poor little dog went to the hospital this morning and was admitted for a uterine infection and possible pneumonia. It helped to stop the dogs labored breathing. Thank you for selling this.